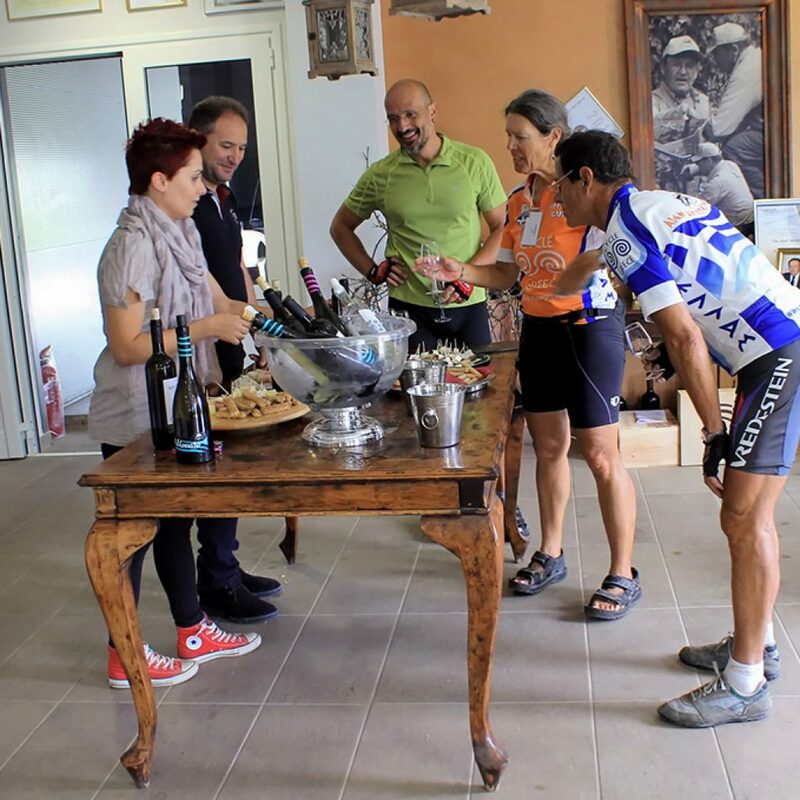 Wine tasting cycling tour. Greeks know a thing or two about viniculture. Archaeological evidence indicates they’ve been making wine for over 4000 years. The region due east of Athens known as Attica is quite prominent in the country’s wine culture. 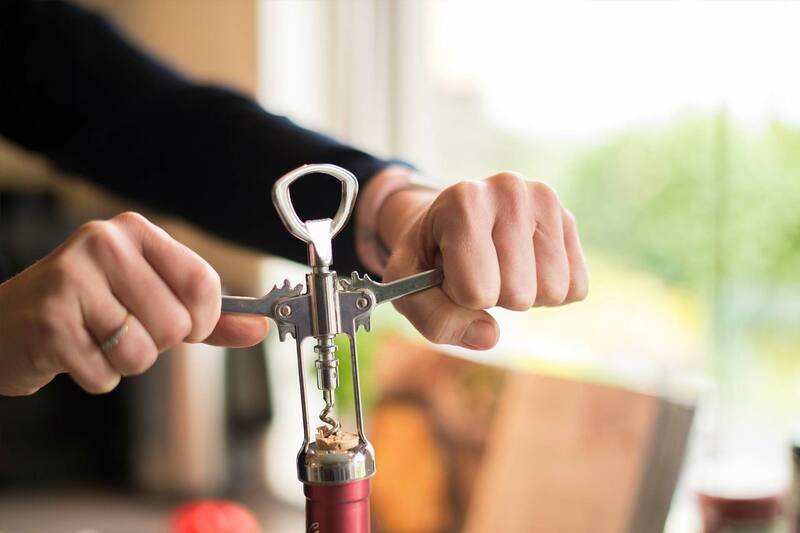 We invite you to take advantage of your proximity to Attica wineries the slow motion way, by bicycle.The roads are primarily rural in this agricultural region full of grape vineyards, fig farms and pistachio orchards. 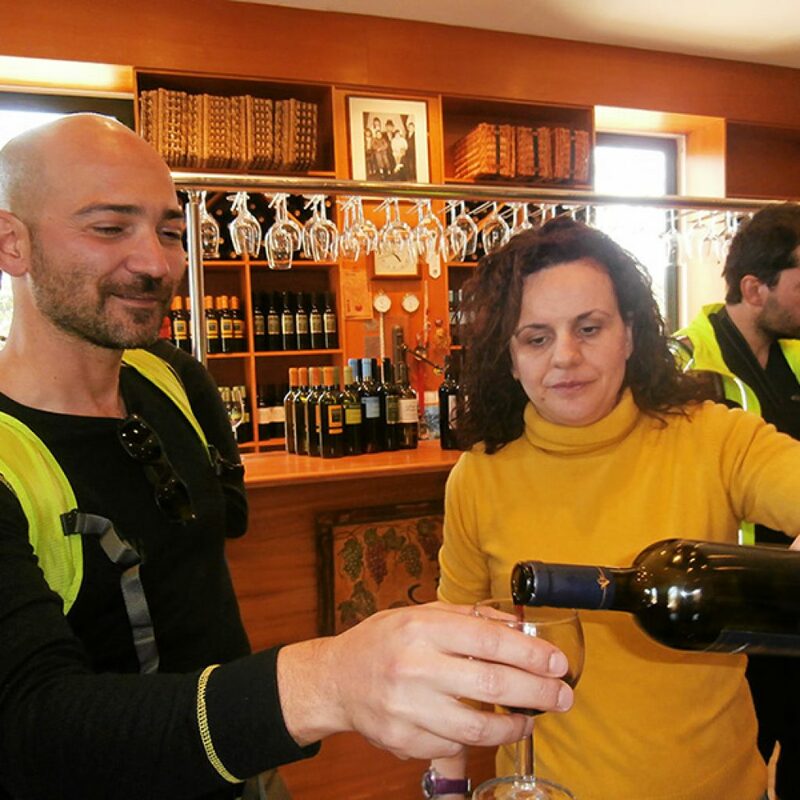 The tour visits five wineries including an organic winery which won Greece’s first award for its bio-climatic system. 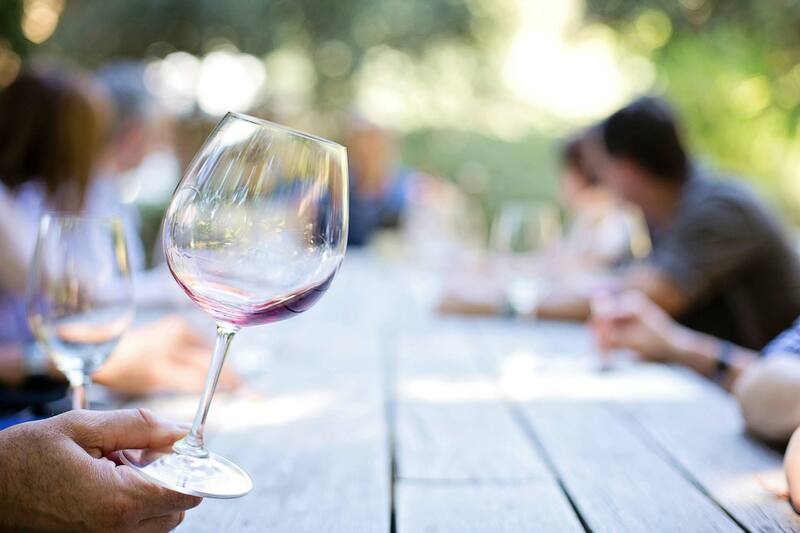 At these wineries you have the opportunity to taste several different varieties of locally produced wine. 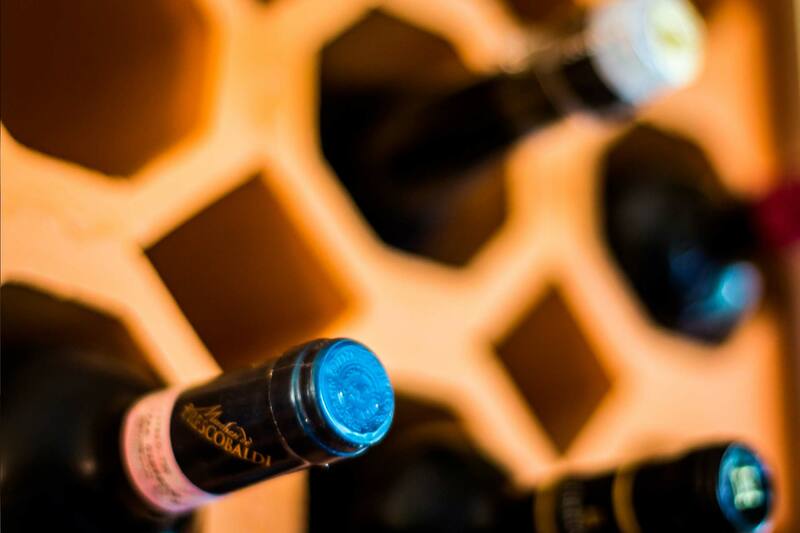 For example, Sabatiano, Attica’s indigenous wine, comes from a white grape that withstands the summer temperatures and produces a wine with an aroma of citrus fruit and flowers.A special detour is made to the Temple of Artemis in Vravrona (a/k/a Brauron). This was an ancient sanctuary dedicated to the goddess of hunting, Artemis, that was a female-only place of worship. Every four years, the Vravrona festival was held in which ten-year-old Athenian girls dressed up as bears and dedicated favorite objects to Artemis who guided them from childhood to adolescence. The Artemis Temple is but inspiring and the museum is definitely worth exploring. Bike to the ancient Temple of Artemis and visit the Vravrona museum.Sample the new profound blends Attica winemakers create with restina.Make a pit stop at a tiny Byzantine chapel surrounded by grape fields.Visit a wine museum with photographs and relics of wine production in bygone days.Cycle past acres and acres of vineyards especially in the fall when the grapes are plump. The Dionysus Connection According to ancient tradition, Dionysus, god of joy and wine, introduced the people of Attika to the cultivation of the vine and the art of wine drinking. In those days, Greeks mixed wine with water and drank it daily. During Dionysus festivals, symposia (drinking parties) were held on the first day of the three day event to honor the wine god. During important symposia official cup bearers (oinochooi) were the equivalent of modern day sommeliers. 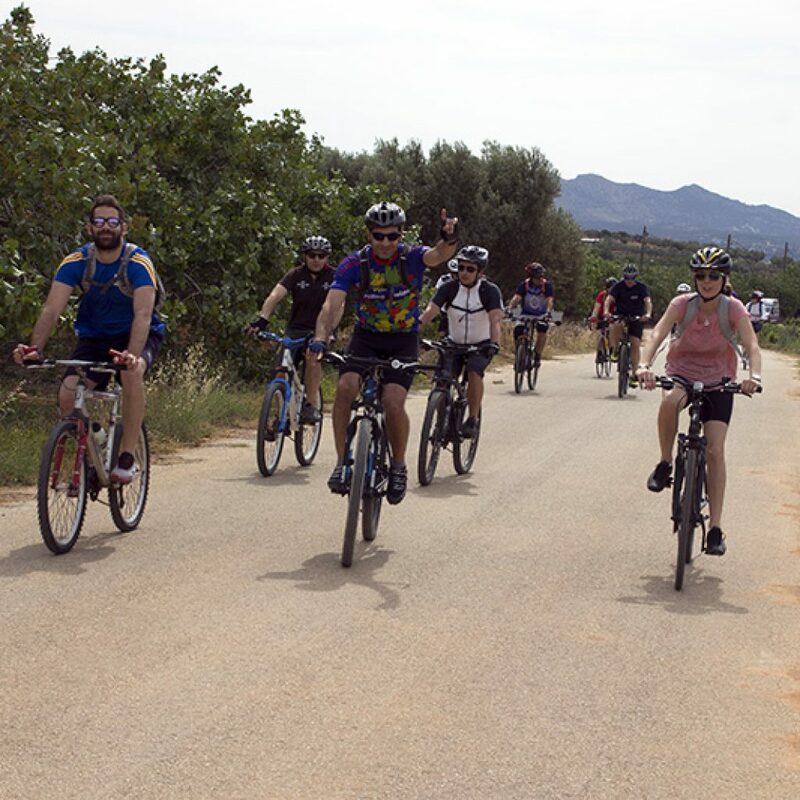 Whether you are staying at a central Athens hotel or have arrived by cruise ship in Piraeus, our company vehicles picks you up and transfers you to Koropi, the start point for the Attica Wineries bike tour. Since the Athens Airport is in the middle of this region, we can also pick you up at the airport and begin the tour from there. The airport was actually built atop a local family’s vineyard. 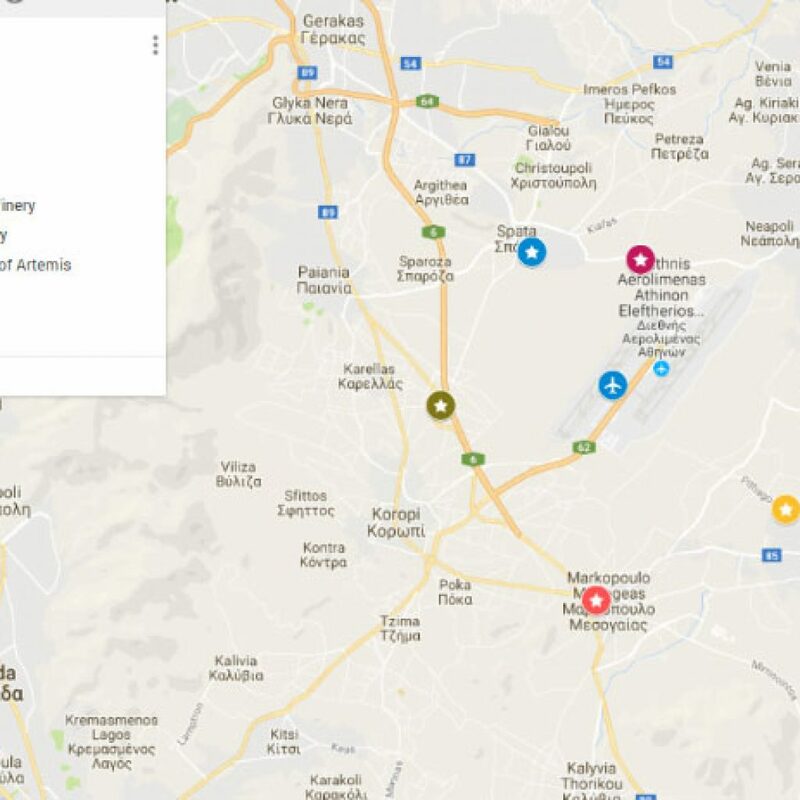 The airport option is especially convenient for morning arrivals who are likely not able to check into their Athens hotel anyway until the afternoon. We are favored tour operators with the Attica Wine Growers and Wineries Cooperative (ENOAA) which consists of approximately forty members. 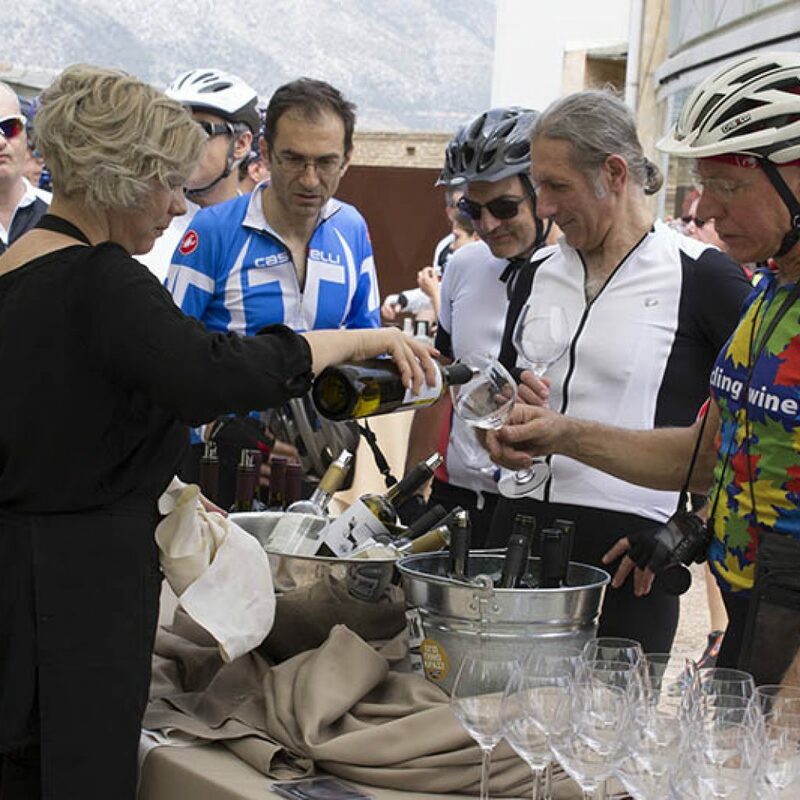 We have selected five member wineries to visit on the cycling tour. At each winery, four to five varieties of wines are sampled along with finger food like cheese and olives. At mid-day there is lunch either at the sea in Porto Rafti or at a winery. A highlight of the ride is the stop at Vravrona to see the Temple of Artemis. The bike route makes a grand loop of 45 km, 28 miles. The terrain is mostly flat on paved rural roads except for a very short stretch on hard packed gravel. The highest climb is 161 meters, 528 feet. There is minimal traffic except for a very short stretch hugging the sea. 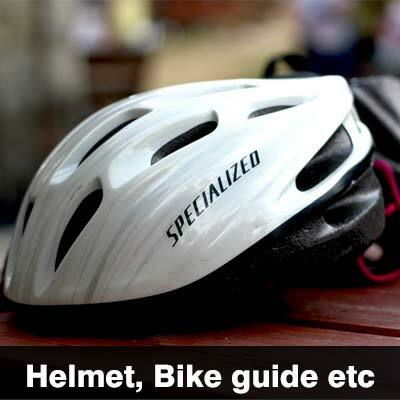 The average biking distance between each stop is about 8 km (5 miles). Departure is usually at 09:00 and return to your hotel or cruise ship usually by 17:00 or 18:00. Transfers: From your hotel or cruise ship to bike start point and return transfer at end of day. 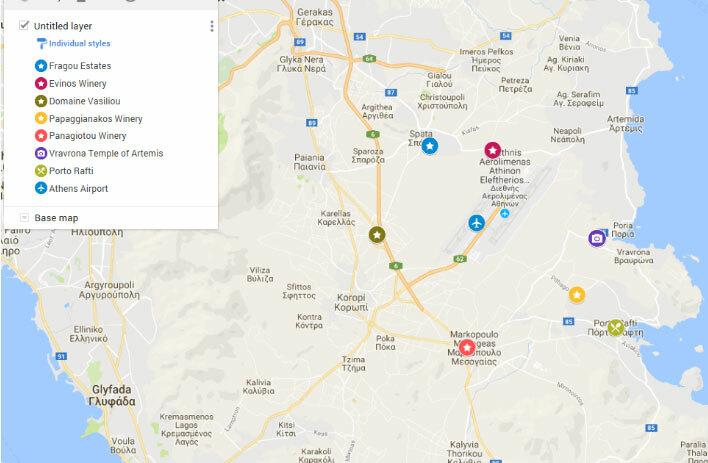 Alternative to transfer from Athens Airport upon morning arrival and return transfer to your Athens hotel for afternoon check-in. Tour Leader / Bike Guide: the Tour Leader handles all the tour logistics and cycles with the group. For 2-3 riders, no bike guide, just cue sheets and driver indicates the route. Entry fee: entry fees to Vravrona archaeology site (Temple of Artemis) and museum. Lunch: Either at a winery or seaside taverna in Porto Rafti. Meat and vegetarian options as well.